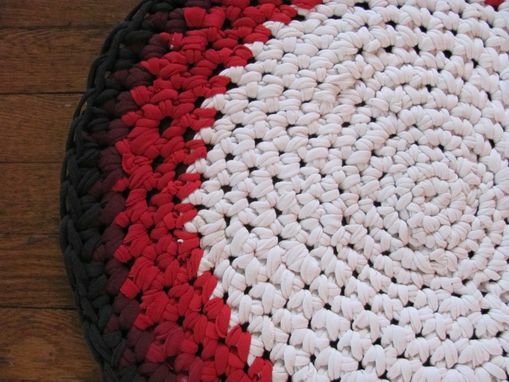 This t-shirt rug is made from old t-shirts from thrift stores around the Ohio area. I was inspired to make these little rugs when I moved into a new apartment. I didn't want to go out to a big box store and buy a rug so I decided to crochet together my own! This rug is intended for a foyer area or a bedroom. 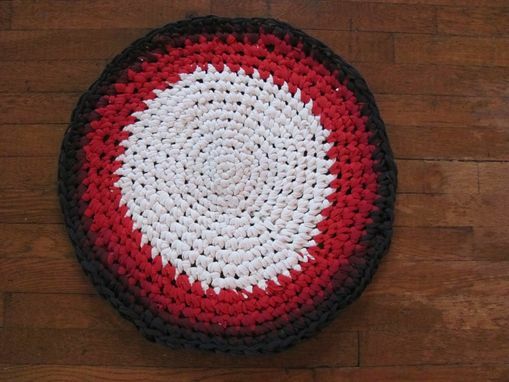 Measures 24" in diameter. All custom orders will have variations of color depending on shirt availability. I will work to exchange color hues to make your rug a perfect fit for your home.